One corner of Parma is dedicated to Italian history and documentation of the life, projects, decisions and products of Barilla. 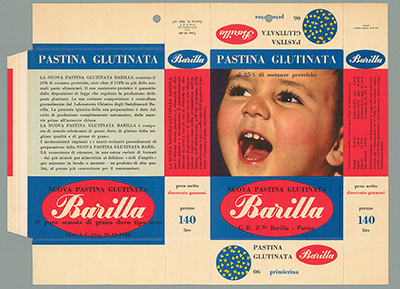 The Barilla Historical Archive contains examples of all kinds of documentation produced by the company, including packages representing the group’s brands and unforgettable promotional images. The archive covers many years of Italian history, and records the country’s changing fashions, styles, attitudes, habits and emotions. 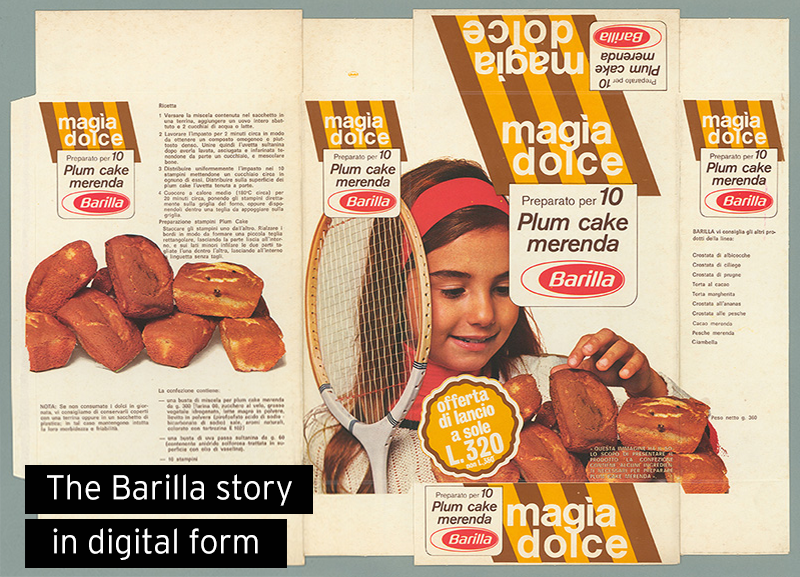 To help build up the Historical Archive’s digital content, Golinelli Communication Lab was chosen to catalogue and scan 11,000 packages of pasta and other Barilla products illustrating how the company’s image has evolved. The aim is to collect, conserve and valorise documents that bear witness to developments in the food industry and to changes in Italian habits. 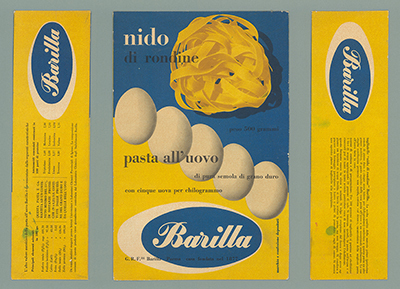 The Barilla Historical Archive is a treasure trove for enthusiasts of graphics and imagery, like the professionals who work at Golinelli Communication Lab. A journey through the archive is a journey through the history of the colours, characters, images and promotions of a historical brand of pasta and through changing fashions in the world of communications. Golinelli Communication Lab was formed in 1951 and has been transferring Italian style, design and taste to paper ever since.